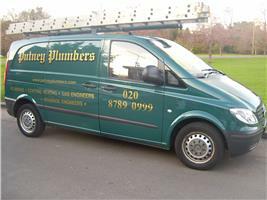 Putney Plumbers is a family run business which has been based in Putney since the 1990's, providing a service to the domestic and commercial sectors. Putney Plumbers carry out a wide range of services including plumbing, heating, boiler repairs, boiler installations, carpentry, blockages, drain cleaning and bathrooms. Our office team are always on hand to book appointments and answer any questions you may have. We pride ourself on providing a great working relationship with our customers.